On this day in 1944, 20th CENTURY FOX celebrated the New York City premiere of the ALFRED HITCHCOCK classic, LIFEBOAT. 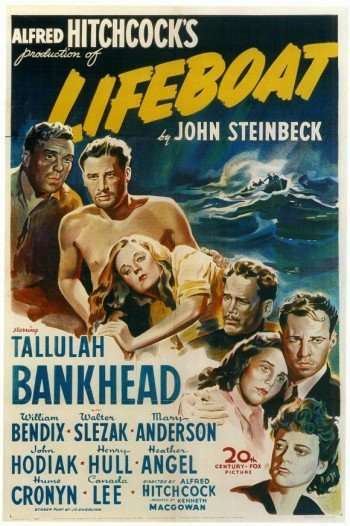 With World War II as its backdrop, this morality play starred TALLULAH BANKHEAD, WILLIAM BENDIX, WALTER SLEZAK, JOHN HODIAK and HENRY HULL as survivors of a torpedoed ship. Amazing performances that hold up to this day.